When your air conditioner is working but not cooling your home, there could be many reasons for this. It’s best to diagnose the problem and then decide what course of action you should take. If you are unexperienced with basic air conditioning maintenance and repairs, it’s best to diagnose the problem yourself, and then call a professional to have it repaired. The first thing you want to check if your air conditioner is not blowing cold air is to inspect the thermostat. Many thermostats have a wide array of preprogramed settings that can be accidentally turned on or off. When setting your thermostat, you should aim to set it at about 5 degrees below room temperature. In addition to this, make sure your thermostat is not broken or the switch is not stuck on HEAT. 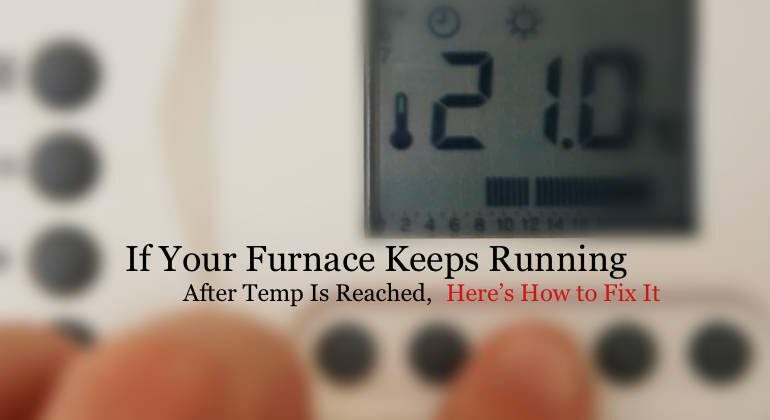 If your thermostat is broken, replacing it is not a hard or expensive job, but if your thermostat needs to be recalibrated, you’ll need to call a professional unless you know what you’re doing. Typically, most well-made air conditioning systems can last up to 10 years and even longer. However, the length in which your system will last will highly depend on how often you perform regular maintenance on it. This might be the reason your air conditioner is not blowing cold air. When your system’s filter becomes so filthy that air will not pass through it, ice will begin to form on it. As a result, cool air will not be able to be produced and your system can possibly overheat. To prevent this from happening, you should change the filter in your system every two to three months. When you go to the home improvement store, make sure you purchase the right filter for your system. A filter that’s too big or tight may restrict airflow. If you’re unsure as to what filter your system requires, you can either read the owner’s manual or take your old filter with you to the store. If your air conditioner is not blowing cold air but running, you may have a dirty condenser. Make sure your air conditioning system is completely shutdown and unplugged. Connected to the side of the condenser is a metal box. Inside, you’ll find the disconnect switch. Turn off the power to the condenser. Locate the top panel of your system. You’ll now want to unscrew and remove it. You’ll also want to remove all the protective side grilles as well. It’s essential that you carefully remove any wires that may be connected. After the protective grilles have been removed, you’ll want to locate the fins that are neighboring the condenser coils. Equip yourself with a brush that’s not only soft but also made out of aluminum. You’ll now want to use the brush to clean the fins. You’ll want to remove the dirt and dust. Use your vacuum to sweep out any leftover debris on the inside of your system. Acquire a plastic grocery bag and use it to cover the wiring and the motor. You’ll also want to use duct tape to this bag tightly. Attach a trigger nozzle to the end of your garden hose and spray the coils and fins. This will get them clean and wash away the grime. It’s important to note that high-pressure washing should not be used. High-pressure washing can bend your aluminum coils and fins. Make sure that you remove the plastic covering when the water has finished draining from the bottom of your system. Check to see if you’ve accidentally bent any of the coils or the fins. If you have, you’ll want to bend them back into shape. You’ll need a tool referred to as a fin comb to do this. Reattach the protective grills and the top panel as well. Turn your air conditioner’s power back on and set the thermostat to cool and about 5 degrees below room temperature. Cleaning the condenser is a job that you should complete at least once a year. Not only will this help ensure that your system will continue to run smoothly for years to come, it’ll also help keep your home cool during the hot summer months. If your central air conditioner is still not blowing cold air, then the problem could be due to a bad compressor. Depending on how old your system is, you’ll have to decide whether it’s worth fixing, or you should upgrade to a brand new one. However, first you’ll need to test your compressor. You’ll need a basic multimeter that measures resistance. You can find these tools at most home improvement stores. Before you test your compressor, you’ll want to unplug your system to ensure no accidents take place. When checking for continuity, 30 OHMS of resistance or less is an ideal reading. If you receive a high resistance reading, check to se if your compressor is hot or cold. If it is in fact cold, then your compressor will need to be replaced. In addition to this, you’ll also want to connect your multimeter from each one of the terminals to the body of your cooling system. If you receive a resistance reading that’s low, this will also mean that your compressor will need to be replaced. Once you know your compressor is bad, you’ll have to decide whether to have it fixed or to replace your whole air conditioning system. If you do decide to fix your compressor, it’s best to call a professional if you are inexperienced in air conditioning repair.